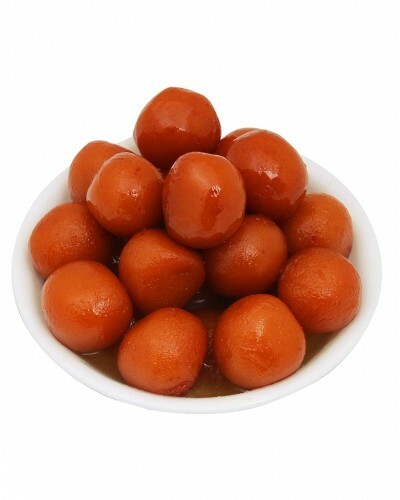 Taste of gulab jamun from Rajasthan. An Indian sweet consisting of a ball of deep-fried khoa boiled in a sugar syrup. Uniquely made by bikaner bhujia bhandar. Products are made up of pure and natural ingredients.